OpenTRV sets out to make it easy to save lots of energy and carbon by only heating rooms that you're using, and by no longer trying to use a single thermostat to get your whole house comfortable. 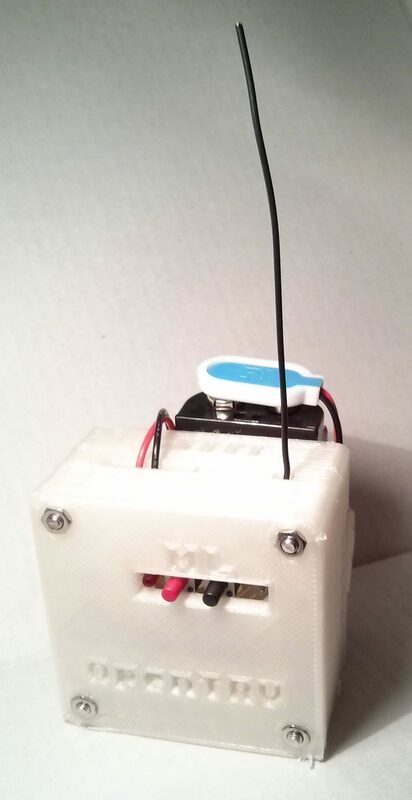 Buy Vestemi's Radbot (Radbot on Amazon), a consumer product based on OpenTRV! OpenTRV also allows a simple schedule to be set (no complex displays though!) and tries to anticipate when you'll need heating to improve comfort while boosting efficiency. OpenTRV is designed to be simple to (retro-)fit to existing UK housing stock with radiator central heating. OpenTRV's primary target is UK housing stock already standing, with poor thermal efficiency, and gas-fired central heating with radiators, for which it aims to cut space-heating carbon footprint by 50%, and in many cases repay its cost in a single heating season. Basic OpenTRV systems should be cheap (quick payback, 10+ year life) and simple to retrofit by end-users. OpenTRV should not require the Internet or smartphones to operate; it should be possible to do basic operations with a simple UI physically at the radiator or its associated control unit. OpenTRV systems should gracefully degrade. OpenTRV intends to produce permissively-licensed free open reference designs suitable for large manufacturers to produce at low cost. 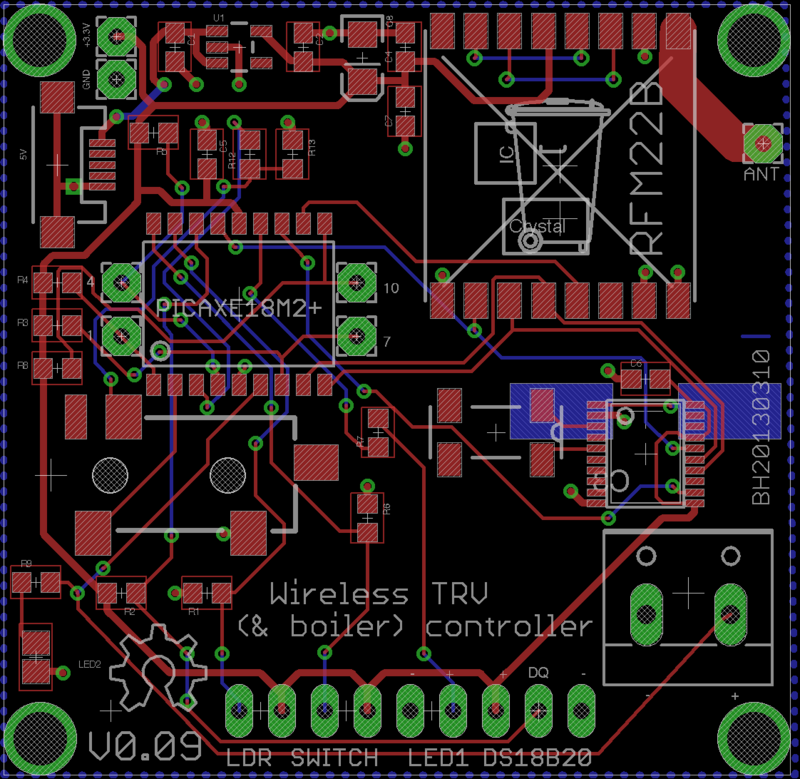 OpenTRV intends to keep some or all of its designs suitable for computer / electronics / DIY enthusiasts to tinker with and extend. OpenTRV aims to minimise end-user costs by promoting WiFi levels of compatibility, allowing mix-and-match systems to be assembled and upgraded. OpenTRV aims to interoperate with such existing systems as OpenEnergyMonitor, X-10/HomeEasy/etc, and to interconnect with home automation systems and give users easy access to sensor data (etc) if they want it, while keeping an eye to privacy and security. OpenTRV designs should have sensible failure behaviours, eg for comms and for batteries such as failing if possible with the valve 'on' to prevent frost damage. Open source projects are said to work best when they really scratch an itch, ie fulfil a requirement or deal with an irritation, that nothing else works for. As of the start of 2013 I had been trying to put together some electronic/programmable thermostatic radiator values/controls (TRV/PRC). 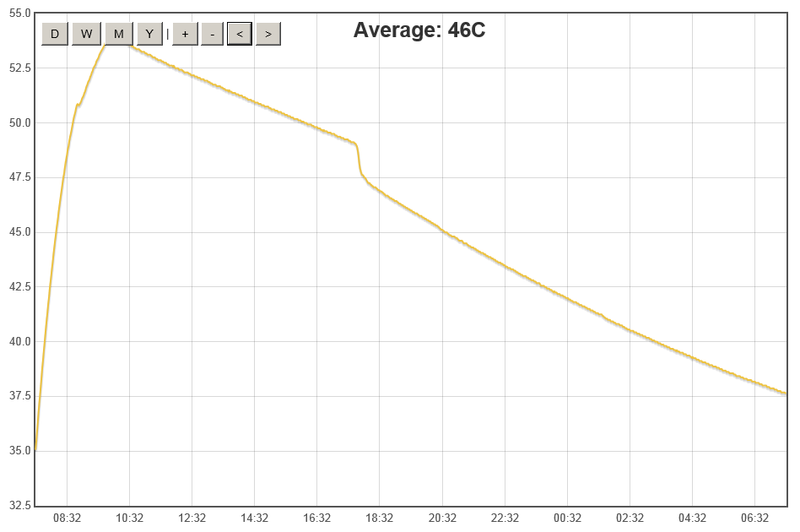 The aim is to follow a temperature programme against time (chronostat), individually call for heat (ie fire up) the central heating boiler when not meeting targets, and that have an occupancy sensor that can drop the target temperature a couple of degrees when a room is (unexpectedly) not occupied (or at least has no active awake human in it). Why? 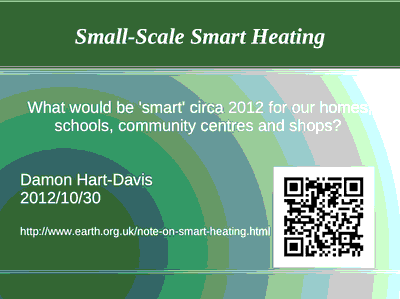 At the October 2012 DECC smart heating workshop that I presented at there was wide agreement that the ability to retrofit soft heating zones to existing radiator central heating systems would likely be a good thing with a lot of potential to save heating unoccupied spaces, and set appropriate heating levels in occupied areas too, with the potential for a lot of energy savings for little physical upheaval. That implies thermostats per heating zone, possibly even per room, controlling local TRVs to regulate temperature and able to bring on the boiler ("call for heat" or "boiler interlock" are common terms) if any zone needs heat to meet target. Modern building regs in England require at least two zones; this proposal is finer-grained. In any case, this seemed hard to do, especially the occupancy sensing, and even a couple of major well known manufacturers that I've been talking to that that offered to lend me kit to test or tell me their hardware protocols, have not yet managed to do so. There seems to be little that operates satisfactorily with fully-open protocols (sometimes a subset of functionality is available, but not enough, or not reliably) so that, for example, I could couple the system with a home automation system or my server or whatever. The primary aim of the OpenTRV project is to have an unencumbered open design from boiler to rad of which pieces can be substituted at will, eg if cheaper. Licensing is permissive so that existing manufacturers can use our designs, and also so that "makers"/DIYers can use the tech easily. And all of this is to try to make it easy and cheap and pleasant for everyone to save carbon emissions from heating: I think most people in the UK could halve theirs without hardship, and the UK has crappy housing stock and will for many years to come. As of autumn 2013 we had working PICAXE and Arduino/AVR implementations, with REV1 and REV2 boxed instances of the AVR solutions deployed in multiple households for testing over winter 2013--2014. See also the OpenTRV project update archive. The OpenTRV unit containing temperature sensor and user controls sits somewhere near the radiator in the room and controls the FHT8V over wireless (868MHz ISM band) to regulate the room/zone temperature as desired. The V1.x all-in-one design replaces the valve head, contains the controls and temperature sensor, and can transmit (securely) to the boiler controller and Internet gateway. OpenTRV will work better if it can interoperate easily with other open and proprietary systems in the heating and monitoring area, eg Open Energy Monitor and various home-automation (HA) systems. If we have this right then we can save people a lot of work redeveloping their own easy-to-program low-power reliable sensor platform. This is an attempt to define some commonly-used terms in OpenTRV to avoid confusion: please send in corrections as needed! A wiki superset is also available. 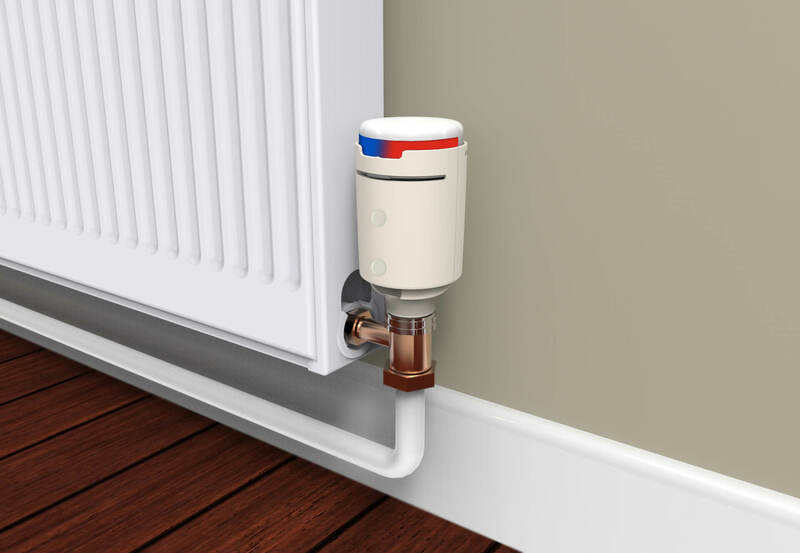 Plumbed into a radiator's flow or return pipework to allow automatic regulation of flow of water through the radiator and thus heat into the room. For UK installations the control pin is typically vertical. See two freestanding valve bases. Part that screws on to (usually vertical in UK) TRV valve base to drive the pin and regulate the flow of water and thus heat. In this simplest case this is a purely mechanical component using a wax that expands/contracts in response to room air temperature to regulate room temperature. This part can be replaced by the end user, eg with a wireless radiator valve to make a 'smarter' zoned heating system. See two valve heads. OpenTRV and associated/halo projects are all about interoperability and to that end we will use or create 'standards' where necessary. 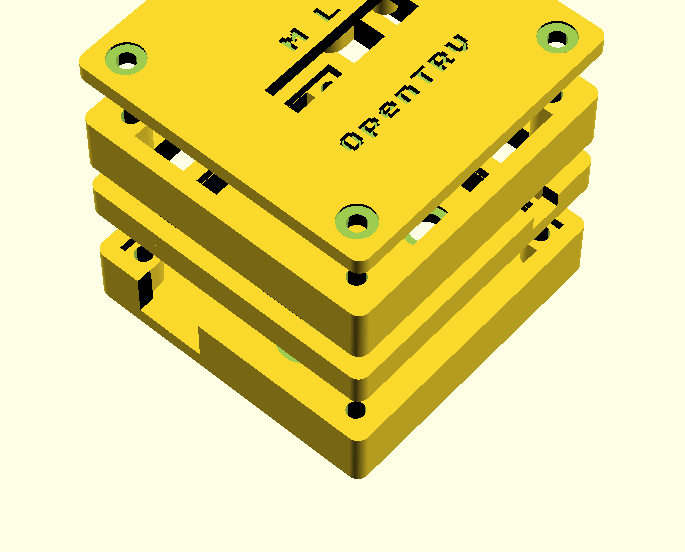 From REV1 of the V0.2 OpenTRV PCB (and REV0 of DD1), we have settled on a main PCB size of 50mm by 50mm with 3mm (M3) mounting holes inset 1mm from each edge at the corners. Standard PCB thickness is 1.6mm. This is in part at least to enable a standard box/enclosure design to be adopted across all units. See for example this from the SVN repository. All OpenTRV software and hardware designs are licensed permissively, specifically to encourage manufacturers to incorporate elements they find useful to encourage wide adoption, along with research and hobby/DIY use. As of March 2013 everything was covered by an Apache 2.0 licence. All new hardware design elements thereafter will be under the Solderpad licence which better addresses some of the non-code IP issues. Note that Solderpad-licenced elements can be treated as if licensed under Apache 2.0 if preferred, as the latter is OSI approved. All code (including the generation scripts for 3D shapes): Apache licence. 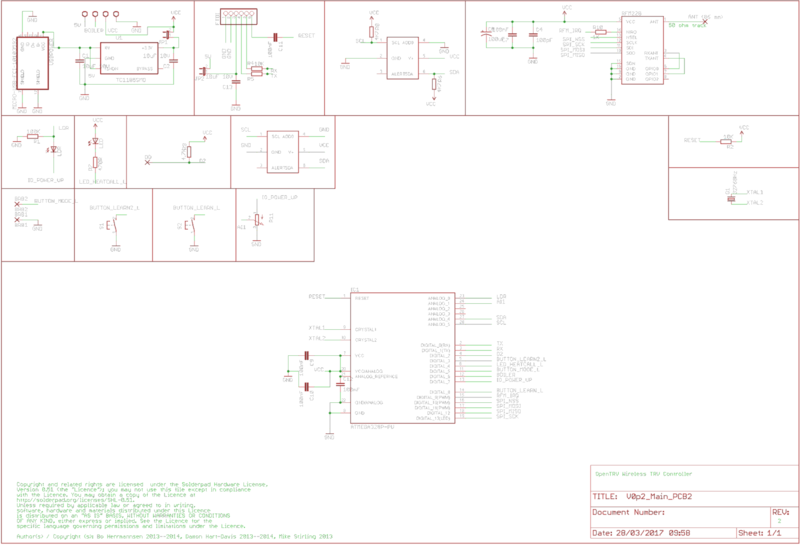 Schematics: Solderpad licence (eg paste the text into the schematic like we already have with V0.09 and the Apache licence). 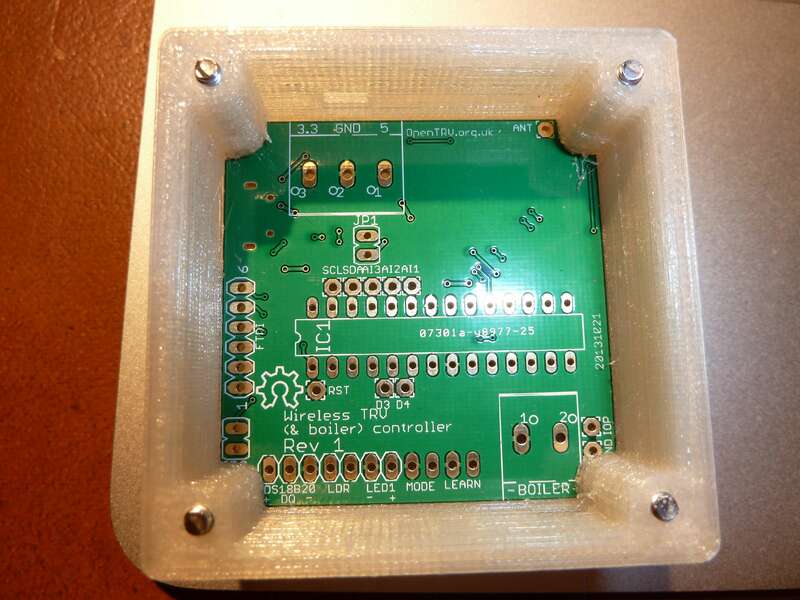 PCB: Solderpad licence by putting short text eg "Solderpad licence [URL]" linking to the licence text on the PCB legend. Generated 3D files (ie output of scripts): disclaim rights, eg add something to the output to the effect "we believe we retain no rights in this, but you may choose to regard this as licensed under Solderpad/Apache if you wish". 2018/04/25: What I learned by living without artificial light: "On a cloudless day in summer, the light outdoors can reach as high as 100,000 lux; on an overcast day, it can be as low as 1,000 lux. ... Back indoors, I took a reading in the centre of my shared office: 120 lux – lower even than the 500 lux you’d expect outdoors immediately after sunset." ... "During my ‘dark weeks’, I was exposed to an average illuminance of 0.5 lux between 18:00 and midnight and a maximum of 59 lux. That was compared to an average 26 lux (and a maximum of 9640 lux ) when I lived normally ..."
2018/03/14: A new energy efficiency standard for social housing in England: "The government’s Clean Growth Strategy announced a new target to get all housing up to Energy Performance Certificate (EPC) Band C by 2030 ..."
2016/03/09: Rates of fuel poverty vary drastically from country to country or even among communities within a country. Across the European Union (EU) for example, 70% of people in Bulgaria are unable to keep their homes adequately warm in winter, while rates in more northern countries are much lower - i.e. only 9.6% in Estonia, 7.1% in Denmark and 3.5% in Sweden. 2016/03/04: Preventing excess winter deaths and illness associated with cold homes. 2015/07/07: Planning ahead...what the latest fuel poverty statistics tell us about our homes. 2015/04/09: Warm Homes scheme brings 2,000 people out of fuel poverty and cuts A&E admissions by 30% "The health service calculates it will save £250 a year in reduced hospital admissions and social costs for every person lifted out of fuel poverty, and the council hopes each household will save around £450 a year in fuel bills and energy efficiency savings..."
2014/11/05: [DECC: Speech by Amber Rudd to the 3rd Annual Heat Conference the heat challenge and global climate change picture]: "4 million UK households are off the gas grid – of these over 1.5 million use heating oil or LPG" [note: out of ~26.5m UK households]. 2014/11/04: 5 energy-saving ways to avoid needing an electric space heater: long underwear, stop draughts, hot water bottle, get active, bake a pie! 2014/10/15: NHS England says: [if frail] "you should heat your home to at least 18C and make sure you wear enough clothes to stay warm. 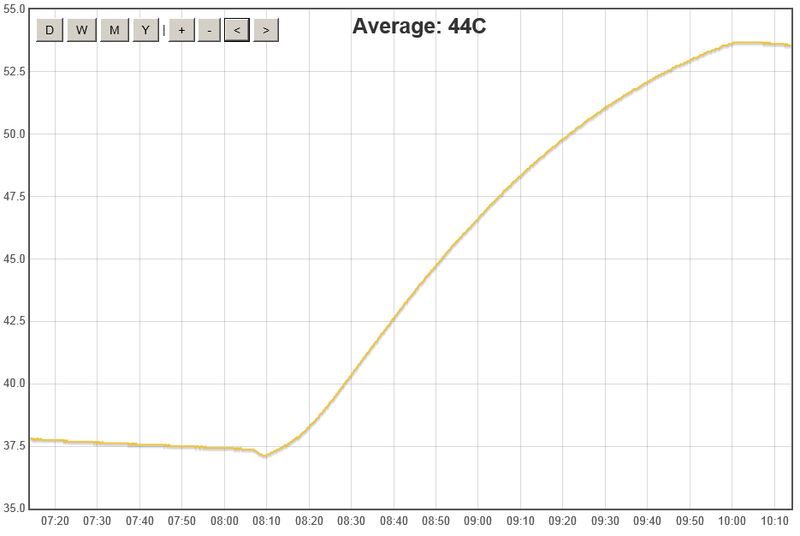 It's a good idea to keep your bedroom at this temperature all night. f you're under 65 and healthy, you can safely have your house cooler than 18C, if you're comfortable." Thermal comfort modelling tool (ISO7730-1993). [DECC] UK greenhouse gas emissions statistics. [DECC] Residential Sector GHG Inventory summary Factsheet: "Overall contribution of residential sector to UK GHG emissions in 2012 was 13%. ... Domestic combustion includes all emissions from the direct combustion of fuel for heating or cooking. The main dataset used is  DUKES." Defensive Publications: "Defensive publications, which are endorsed by the USPTO as an IP rights management tool, are documents that provide descriptions and artwork of a product, device or method so that it enters the public domain and becomes prior art. This powerful preemptive disclosure prevents other parties from obtaining a patent on the product, device or method. It enables the original inventor to ensure that they have access to their invention by preventing others from later making patent claims on it. It also means that they do not have to shoulder the cost of patent applications." Ugh: Smart energy devices have a major problem with user experience. 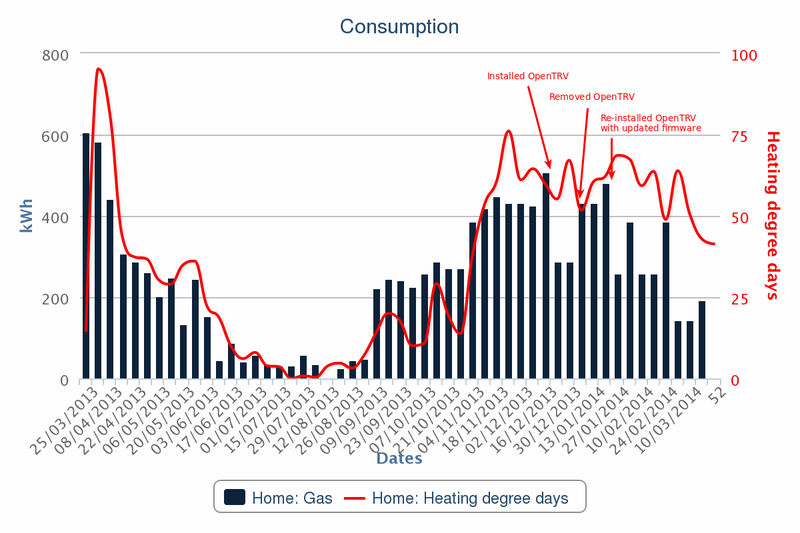 DECC Dec 2013: Usability testing of smarter heating controls. DECC Oct 2013: What people want from their heating controls: a qualitative study. CBR thermal comfort tool; also see Human Thermal Comfort. How to use a Thermostatic Radiator Valve with temperatures listed against markings, eg: * = 6°C, 3 = 16.5°C (corridors), 4 = 20°C (offices), 6 = 28°C. Cautionary note from the Canada Mortgage and Housing Corporation; note that it considers a setback of 2°C to have "little risk" and some savings. 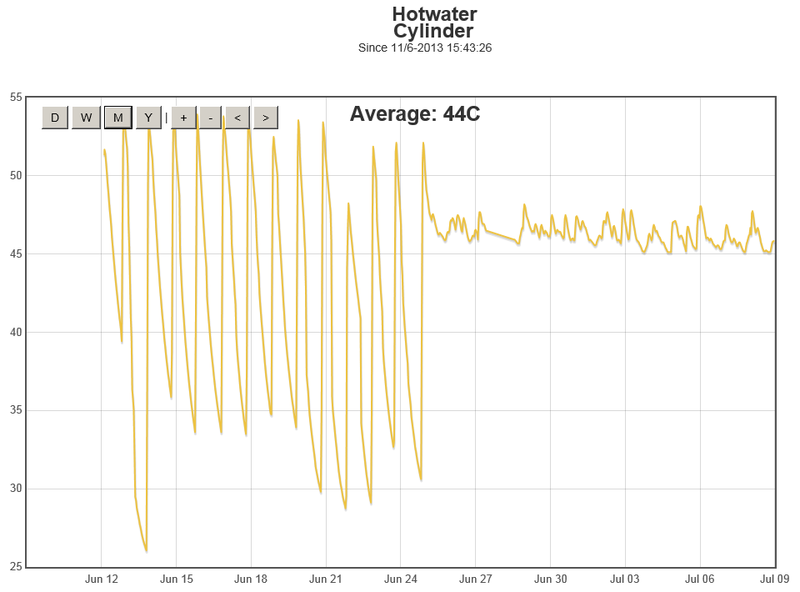 See also Effects of Thermostat Setting on Energy Consumption. 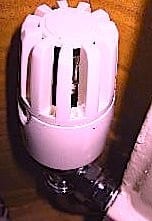 DIY Doctor: Thermostatic Radiator Valves Including How to Fit a TRV and How to Change a TRV. Page Media: image, alternate, alternate(i). First published 2013-01-11 , updated 2019-04-18 , rebuilt 2019-04-19 . Site copyright © 2007-2019 Damon Hart-Davis. Hosted by ExNet.